One Saturday about three weeks ago, my husband Taylor and I had a day off together. 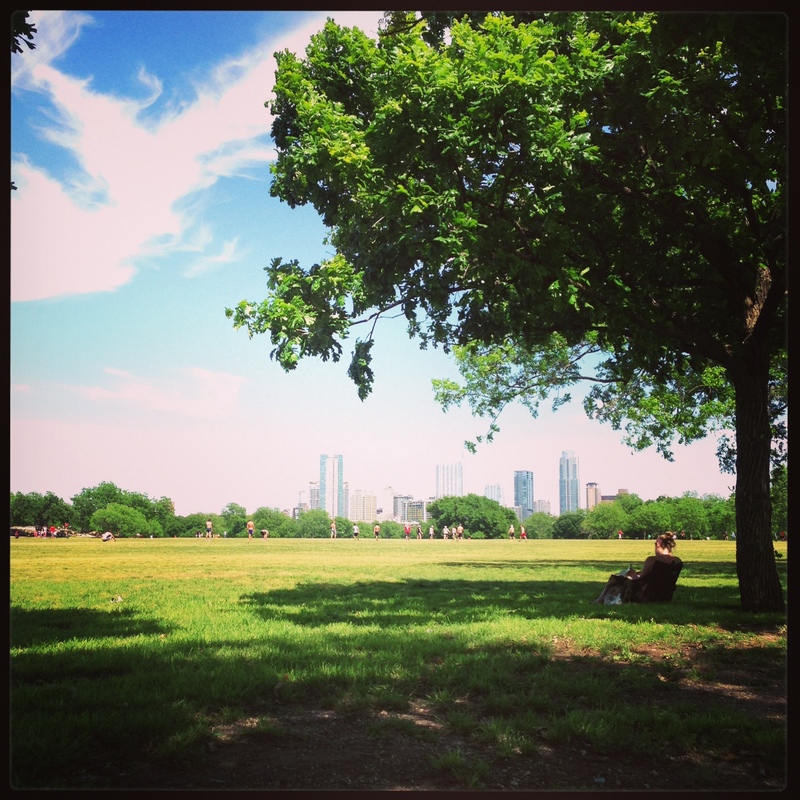 It was one of those gorgeous spring days in Austin- 80 degrees, not a cloud in the sky- and my unsatisfiable itch to be outside was going crazy. My mind was also going crazy. See, the night before my friend Amy and I had a pretty truth-filled, mind-shattering, lies- exposing conversation. The “hard, but good” conversation. You know… the kind where your best friend is looking you in the eye, not holding back punches, telling you what you need to hear and it’s all at once the most refreshing and freeing and acutely painful thing. If you’re anything like me, your brain stops working in the middle of the conversation. Not that you stop listening, not that you’re putting up walls, but you just. can’t. handle. any. more. Thoughts and feelings and beliefs are pouring in, yet my ability to pour them back out has ceased. My ability to process completely goes out the window, I feel like I’m drowning in my own thoughts, and I’m stuck. Here’s the thing- I’m a deep thinker, extremely introspective and as a result, I typically process slower. So at this point, the point where my brain is on overdrive, the point when my thoughts are beginning to swirl and resemble a very large, nasty-looking hurricane cloud, I have only one choice. I must find my way to the eye of the hurricane. To the place of rest, peace and quiet- if only for a few moments. For me, that place is writing. So on that Saturday, I wrote. I sat outside and played frisbee with Taylor. We ate lunch in the park and laid in our hammock and soaked up as much sunshine as possible. We read books, and I wrote. That’s me, on that Saturday, in my happy place. Almost instantly, I could feel the storm easing up- after having its way in my mind for 24 hours. There were still remnants of course- some ideas where shifted around, some trees I thought were solid knocked over. There was still wreckage to clean up, feelings leftover that I wasn’t sure what to do with, but I was at peace. And the anxiety, the restlessness, the shame I had been fighting against the night before all washed away with the storm. When you write for a while, I can tell. There’s something different about you…it’s like there’s more to you than there was even a few hours ago. And that, in a very profound, succinct nutshell, describes my relationship with writing. I have to go pretty far back in my 24-year-old memory to remember a time when writing wasn’t a substantial part of my life. My first memories of writing my thoughts down was in middle school. I was far from consistent. I would write for a few days, fill a few pages, and then get bored with it. There were more exciting things going on like basketball practice, or family beach trips, playing in the pool or arguing with my brother and sister. Then, high school hit and writing became a chore. Essays, book reports, annotations. While I devoured any book I could get my hands on growing up- namely Nancy Drew mysteries- it took discipline to finish books in high school, much less analyze them and produce 3-5 page, single-spaced essays. Then for some reason that I can’t really put my finger on, I picked up a spiral notebook in college and started journalling. It started as an outlet. As a way to get my thoughts and feelings on paper. I was growing in my relationship with Jesus like never before, and it became a way to process through scripture. And soon, it became a LIFELINE- absolutely necessary to my well-being, to my sanity, to my growth spiritually, emotionally and mentally. It became where I would run when I felt the world crashing in on me. It became a way the Holy Spirit moved in my heart. I can’t tell you how many times I’ve started writing about one particular thought, and landed about 34,897 miles away on a completely different idea. As I read back through what I wrote, it’s evident how the Holy Spirit brought to mind thoughts, verses, and experiences that led me to where he wanted me to be. Each time spent writing, I would walk away knowing God a little more deeply, and as a result knowing myself a little more deeply as well. 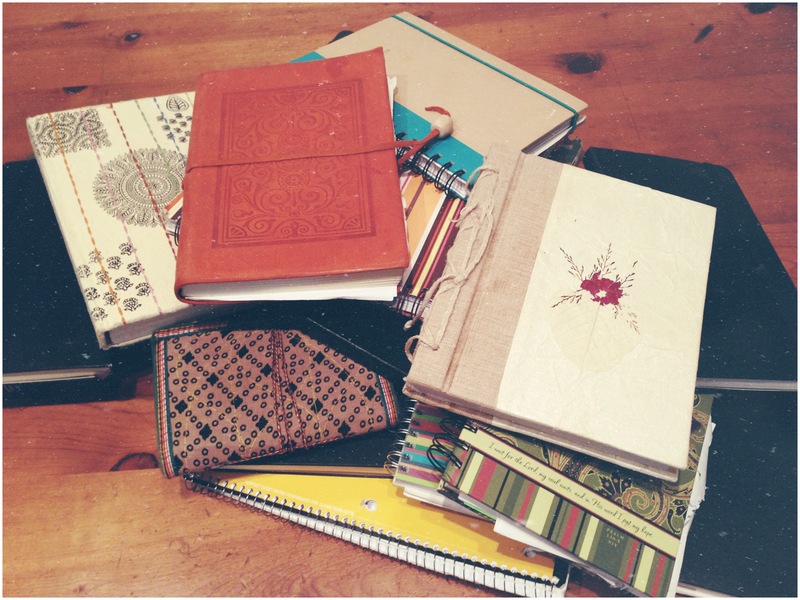 My journals- I’ve written through 19 in seven years- are the truest form of myself. They are raw and uncensored, and the most accurate picture of my story. Specifically, they are the most honest depiction of my relationship with Jesus, and the seasons of life he has brought me through. More often than not, I’ll finish a journal and start a new one at exactly the appropriate time; when one chapter of life is ending, and another is beginning. If anything, that is proof to me that the Lord’s timing is perfect, that he’s completely in control of my story.. and also that he has a sense of humor. Sometimes, the transition from one journal to the next is easy. Sometimes, it’s painful. I don’t want the chapter I’m living in to end. I don’t want to move on. I’m hurt, or angry or confused with the Lord and I don’t want to go to him. I don’t want to process through anything with him. When I’m angry, when I’m hurt to the depth that words can’t describe, I push him away and the dates between two journals have more space between them. But then, there are those transitions that are hopeful. With a new journal comes new days, new life, a breath of fresh air, blank pages with stories just waiting to fill them. Regardless, how much I’m writing, what I’m writing is the most accurate gauge for me on my relationship with Jesus. I might not know all the answers, I might not know every verse in the Bible, but I am being gut-wrenchingly honest with my Savior.. and I believe with all my heart that that counts for something. Every once in a while, I’ll read back through old journals. It will make me laugh, bring me a profound sense of thankfulness and remind me of pain so vivid it brings me to tears all over again. But most of all, it gives me faith that God knows what he’s doing with my life, with all of our lives. He is an incredible author, and a wonderful storyteller. And that is what motivates me to write. I write to find a place of peace, rest and truth with my Savior in the midst of a chaotic world. I write to remember the faithfulness of God. I hope this little piece of my world helps you remember too. I’d like to know.. What helps you remember the faithfulness of God? What is the thing you turn to that helps you process? How do you find peace and rest in the midst of chaos?